In celebration of her upcoming new album Hymn, best-selling soprano Sarah Brightman is in cinemas with an incredible performance. 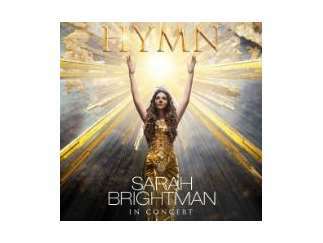 Hymn: Sarah Brightman In Concert was captured live for the big screen from the Festspielhaus in the enchanted Bavarian Alps, known for the historic and captivating Neuschwanstein Castle. Staged in two acts, the 90-minute performance is a hybrid of a musical film, a classical-crossover program and a large-scale concert production. Brightman is accompanied by her band, the Munich orchestra, a 50-voice choir and the Ludwig Ensemble of dancers. The concert was conceived and created by Sarah Brightman, Anthony Von Laast (Mamma Mia, Beauty and the Beast), and Frank Peterson (Enigma, Andrea Bocelli). Filmed using state-of-the-art video and audio technologies, cinema audiences will also enjoy an exclusive "making of" feature.